60228 PER5335.jpg 500X638\PER5335.jpg 60229 PER5335_1.jpg 500X638\PER5335_1.jpg Send A Hint! 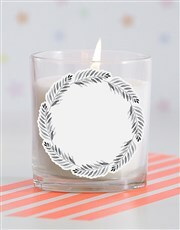 Decorate and scent a room with a beautiful name in fronds baby candle. 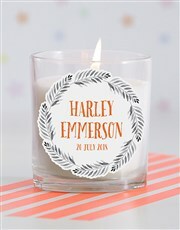 This candle can be personalised with the name and birth date of a little one, and makes a special new baby gift for a growing family. Buy gifts online for new parents and baby alike and have them delivered anywhere in South Africa. 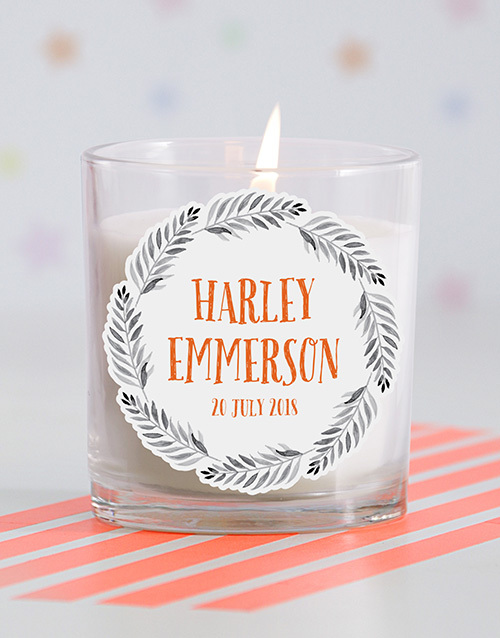 Get this Personalised Name In Fronds Baby Candle delivered with NetFlorist.